As Shabbat approaches, I am already preparing to welcome the first of the happiest months of the year, the Hebrew month of Adar. Actually, it is the first of two Adars this year, as the Hebrew calendar self-corrects with it’s own leap month to align with the dates of the lunar cycle. (yes, it happens during seven years of every 19 year cycle). Adar is the month of joy, and how lucky we are to have the opportunity to leap for joy. It may be freezing outdoors, but during Adar I and II, we are more mindful of bringing happiness into our lives and to those around us. Be silly! Wear a smile! Write love notes on napkins! ~ What makes me happy? ~ Do I seek happiness? ~ When were moments in recent times that I was happy? What was it about these moments that were especially joyful? ~ Do I bring happiness into the world? I invite you to spend a few moments each day to meditate on the phrase “ashrei derech ratzon. . . 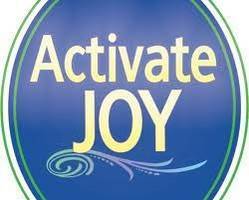 I am open to receiving and bringing forth joy.” Begin to notice what happens in your breath, the rhythm of your day and in your relationships as you cultivate this practice. 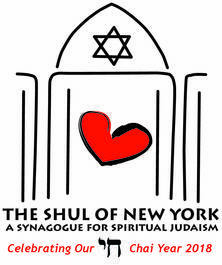 Mark your calendars to join us on March 23 for a rousing Shul of New York Purim Celebration. We are already scheming and dreaming up a night of so much, you won’t want to miss it! More details coming shortly. I look forward to seeing you this month at services, programs, classes or for a cup of tea.